Our accomplishments represent the sum total of the incredibly talented and hard-working people we have at every level of the organization,” said Jeff Erle, CEO of MobilityWare. EY has announced that Jeff Erle, CEO of leading mobile games company MobilityWare, has been named as a finalist for the EY Entrepreneur of the Year® 2016 Orange County Region Award. Now celebrating its 30th year, the award recognizes entrepreneurs in over 145 cities and 60 countries who demonstrate excellence and extraordinary success in such areas as innovation, financial performance and personal commitment to their businesses and communities. Under his guidance, MobilityWare has seen rapid growth driven by the development and implementation of technologies and systems which have increased efficiency, and the diversification of its product line. Mr. Erle was selected by an independent panel of judges, and this year’s group of finalists from the OC region represent companies with a combined $2.3 billion in revenue and over 7,100 employees. The winner will be announced at a formal awards gala on Friday, June 17, with more than 500 Founders, CEOs and other business leaders in attendance, at the St. Regis Monarch Beach Resort in Dana Point, California. Learn more about Jeff Erle’s journey as an EY Entrepreneur of the Year finalist by following @MobilityWare. Follow all the latest program developments @EY_EOYUS using #EOYOC and visit the Orange County regional website for more information: http://www.ey.com/us/eoy/oc. 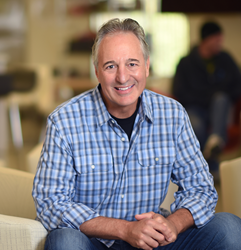 Founded in 1990 and headquartered in Irvine, CA, MobilityWare is a leading mobile games company with over 300 million downloads across its award-winning portfolio. Its flagship game, Solitaire, was released on the day the App Store opened in 2008. Other titles include Hot Streak Slots, Blackjack, Freecell, and Spider Solitaire. In 2015, the company expanded its product line onto emerging platforms such as Apple Watch and Apple TV. More information about the company can be found online at MobilityWare.com.